So as the sun has set on the 14th anniversary of my retirement from professional boxing, I can’t help but think about the upcoming heavyweight fights that will likely lead to the next undisputed heavyweight champion. 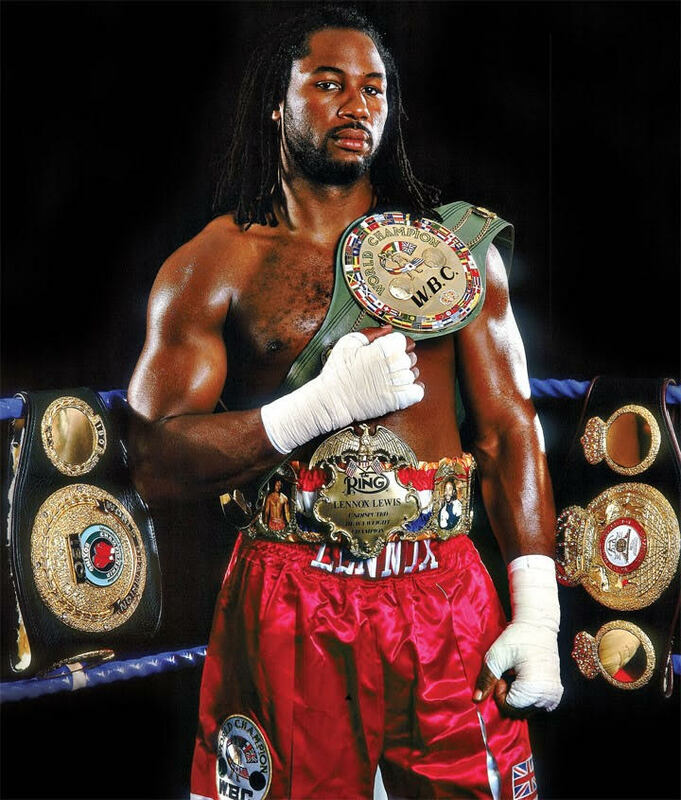 It’s almost hard to believe it’s been 14 years since my retirement, and even harder to believe that I have remained the last undisputed heavyweight champion to this day. Recently, there’s been a lot of discussion comparing some of the current champions to champions of my era, and the eras before me, even to the point where certain fighters themselves have made comments about who they would defeat from past history. Like I said before, it’s a useless exercise and it’s unprovable. Leave that to the fans, pundits and so-called “experts”. Today’s fighters first have to worry about their own era and becoming undisputed in their own time before they start comparing themselves to greats of the past. Even then, when all is said and done, history will decide where you fit in. The division has leveled out now, and you have a far more competitive environment then anytime in the last decade. This is a great thing for the division and the entire sport of boxing. British boxing overall is booming right now, and as it pertains to the heavyweight division, let me clearly state that all roads to “undisputed” go through Britain. There are currently four recognized heavyweight champions, and as they begin to face each other, and unify titles, we are well on our way to the next undisputed heavyweight champion, or so I would think. I believe there is a short list of heavyweights that will sort this out that include Anthony Joshua Deontay, Wilder Joseph Parker, Louis Ortiz, Tyson Fury, Alexander Povetkin, and maybe even a few lesser known fighters that are yet to get their chance in the spotlight. I think this will be sorted by the end of 2018, or in early 2019, and I think that fight could likely be between Anthony Joshua and Deontay Wilder to determine who the next undisputed heavyweight champion of the world will be. When I think about Joshua, I believe that he’s a better, and more well-rounded, tactician in the ring than Wilder. He has a better ring generalship and also has faced better competition then Wilder has, so my natural inclination would give Joshua the advantage in a head-to-head matchup. The one thing that concerns me about AJ is his size and mobility, because he has so much muscle mass, and that becomes a lot to carry into later rounds of fights. He’s held up well so far, but we have seen the results of what can happen when he expends too much energy, in a short period of time, late in a fight. This would probably be his biggest weakness that I see but great conditioning and pacing can help overcome this. For Wilder, I believe he has the best body type for a heavyweight champion in the division today. He shows up in lean, in shape and ready to go every time. His body mass is lean, yet he carries a lot of power. He’s not carrying so much muscle mass, or fat, and he doesn’t appear to become gassed going into any round. He has a very high energy level and great conditioning. This will serve him well in a match up with Anthony Joshua. However, some of his weaknesses are in his lack of technique and fundamentals that can be exploited by a very good boxer. He’s gone over some hurdles, but he hasn’t really been tested the way Joshua has, or stepped up the same level of competition. I think his power has been the mainstay for his career, and it has also bailed him out in some fights where his boxing skills we’re not getting the job done. If he were to learn how to straighten up his right hands after his jab he would be so much harder to deal with. The quickest way from one point to another is a straight line and he needs to learn this before somebody proves it to him. My only other criticism of Deontay is that I think he gets hit too much, especially from shorter guys that really shouldn’t be able to score that much if he fights them from the outside. Going into a fight with Louis Ortiz, who has excellent in-fighting skills, and can hurt you with either hand, it will be interesting to see how Wilder deals with Ortiz. To beat Ortiz, Wilder has to fight tall and keep him at the end of his jab. From there he can drop that powerful right when the time is right. If he can’t manage to keep Ortiz at the end of his jab, it could prove catastrophic. A lot of what happens next is on the shoulders of those responsible for training and conditioning these modern heavyweights. They are bigger and stronger than most champions of the past, and require different strategies and tactics to take their super-heavyweight frameworks 12 rounds. My first coach, Arnie Boehm, introduced me to the sweet science, but once he had taken me as far as he could, he handed me over to my Olympic coach, Adrian Teodorescu. Adrian helped me refine and improve my amateur style and technique and then coached me to a Gold Medal for Canada in the 1988 Olympics. Both of them played pivotal roles in my development as an amateur. Arnie was my high school coach, Adrian was my Olympic coach and when it was time to turn pro, I needed someone who could guide me into the pro style of fighting. That man was Pepe Corea. Pepe was my coach for the first half of my pro career, and as well as things were going for us, I felt that there was always something more that I should be learning. It wasn’t until my first pro loss to Oliver McCall, did I bother to shake things up though by hiring the very man running responsible for my first defeat. I’m forever grateful to Pepe for all he’s done for me, but the decision to hire Manny Steward as my new coach changed everything for me. Manny was a boxing genius and he showed me things that I had never even thought about. He knew the fight game inside and out and his tactics, depth of knowledge and results spoke themselves. If Arnie was my high school diploma, Adrian, my bachelors degree, and Pepe my masters, than Manny represented my Phd in boxing. He taught me, like a chess master, to analyze the ENTIRE board, and not just what happens in the ring. He showed me how and why McCall was able to beat me, and the behind the scenes tactics he used to give his guy an added advantage. It’s this type of thinking that can make all the difference for today’s top talent. I’ve always said that every fighter is different, and you have to create different strategies to face different types of opponents. I think the trainers, right now, are more important than ever because of the balancing out of talent in the division. They will be the x-factor in crowning the next undisputed heavyweight champion. It will be interesting to see how it all pans out and if Joshua and Wilder are the ones that actually meet for the undisputed title. I can’t say who would win between the two because they have to settle it in the ring, but it would be a great fight to see, and it pits the top two names in the division against each other, in their prime, which is exactly how the next undisputed champion should be decided.